Sensory discrimination methods including the tetrads and the M+N. 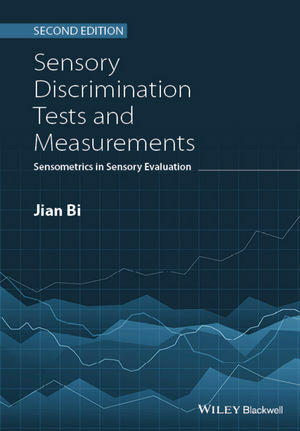 Jian Bi is a consultant in sensometrics in the food and consumer product industries. From 1996 to 2000, he served as a Senior Statistician in the Institute for Perception in Richmond, VA, USA. Since 2000, he has, as an independent consultant, provided statistical consulting service and data analysis in sensory and consumer research for multiple companies, including Amway, Wrigley, Campbell Soup Company, Heinz, Kraft Foods, PepsiCo. Asia, and Mondelçz. He is the author or co-author of two books and more than 60 papers.